Jazoon TechDays offers the following sponsoring packages. Are you looking for more information? Please get in touch with us, we’ll be happy to provide you with all the details. As a leading Swiss software company, we support our customers worldwide with trend-setting products and custom software. We cover the entire IT service lifecycle, from strategy to implementation and operation. Our balanced combination of cutting-edge technology and proven standards ensures investment security, from large-scale projects to innovative start-ups. Our 500 employees have one common goal: to help our customers reach their digital business targets. As the leading Swiss ICT company, we are actively driving the digitization and transformation forward. Together with our approximately 20’000 employees, we develop smart solutions for our customers using Smart Data and applying technologies like Artificial Intelligence, Internet of Things and Cloud Computing. 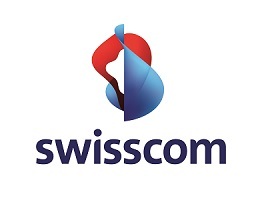 Swisscom builds on innovation, the best customer experience, operational excellence and new growth. 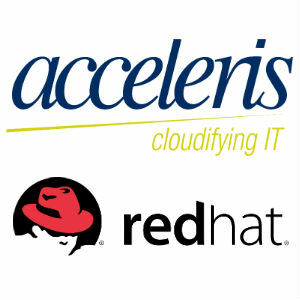 Besides operating its very own Swiss cloud infrastructure NUBIQ, Acceleris is distribution partner of several leading hardware and software manufacturers in Switzerland. Our employees guarantee bespoke customers consultancy and support to roll out your IT projects. Based on leading technologies of different manufacturers, Acceleris has developed complete methods and approaches for the realization and implementation of our customers’ specific needs. The thereby originated “Best Practices” are multiple proven and guarantee a fast transformation of the pursued goals to our customers. 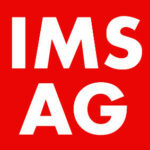 Das Kerngeschäft der IMS AG ist die Entwicklung komplexer Individualsoftware, die meist aus einem Mix von Individual- und Standardsoftware bestehen. Ergänzend unterstützen wir unsere Kunden mit allen Dienstleistungen im Bereich der Systementwicklung, von Consulting, Projektleitung über Konzeptentwicklung bis hin zu Reviews. Puzzle ITC is a swiss Open Source service provider who is specialized in individual software and Linux system engineering projects. In summer 2016 Puzzle ITC launched APPUiO – The Swiss Container Platform, made by developers for developers. With APPUiO you design, develop and operate your applications in a Switzerland based cloud. We are over 100 highly skilled developers and engineers based in Berne and Zurich. Finnova is a leading provider of banking software in the Swiss financial centre. We help banks and outsourcing providers to realise growth in the banking sector, even in challenging times, thanks to efficient and innovative IT solutions compliant with Regulatory requirements. ‘Smarter banking’ with Finnova – that is what we stand for. And that is why over 100 banks have already put their trust in us. Die Mobiliar ist die älteste private Versicherungsgesellschaft der Schweiz und genossenschaftlich verankert. Seit der Gründung des Unternehmens 1826 ist das Verantwortungsbewusstsein gegenüber der Gesellschaft tief in unserer Unter­nehmenskultur verwurzelt. Die IT in der Mobiliar arbeitet effizient, flexibel und mobil. Dies alles ist möglich dank der leistungsfähigen, standardisierten IT-Infrastruktur. Für alle IT-Themen innerhalb der Gruppe Mobiliar ist der GLB IT der kompetente Ansprechpartner – hier kommen technisches und methodisches Knowhow zusammen mit vertieften Kenntnissen der Mobiliar-Geschäftsprozesse. Gemeinsam mit den Fachbereichen gestaltet die IT die Zukunft des Unternehmens mit. Microsoft is the world’s leading manufacturer of standard software, services and solutions. We help people and companies from all industries and of all sizes to fully realize their potential. Security, reliability, innovation and integration, as well as openness and interoperability, are the main focus when developing all Microsoft products and business solutions. Though our own platform as well as our ecosystems of partners and start-ups we democratize access to advanced technology ranging from leading business productivity solutions, artificial intelligence, blockchain as well as augmented & virtual reality to quantum computing.